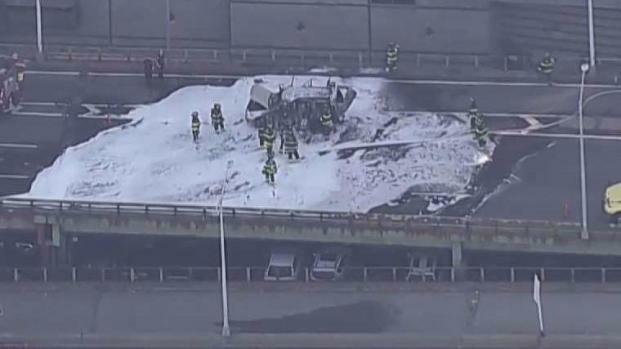 A car burst into flames on the FDR Drive as the evening rush was getting underway Thursday, bringing traffic to a standstill. Cellphone video shows flames quickly spreading and engulfing the SUV on the southbound side of the highway, just below 34th Street. Firefighters shut down all lanes of the highway as they put out the fire and cleaned up the remnants of the blaze just after 4:30 p.m. A charred, gutted SUV sat on the road, surrounded by foam used to put out the fire, Chopper 4 over the scene showed. By 5 p.m., one lane was getting by, but traffic remained heavily jammed. All lanes were reopened by 6:15 p.m. 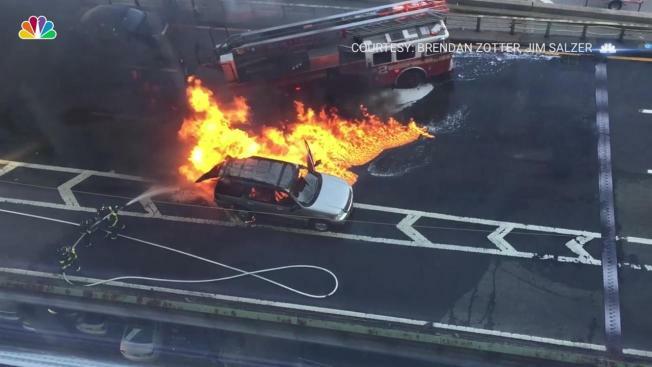 Emergency responses to a vehicle fire on FDR Drive by 34th Street is causing delays on the road Thursday afternoon.